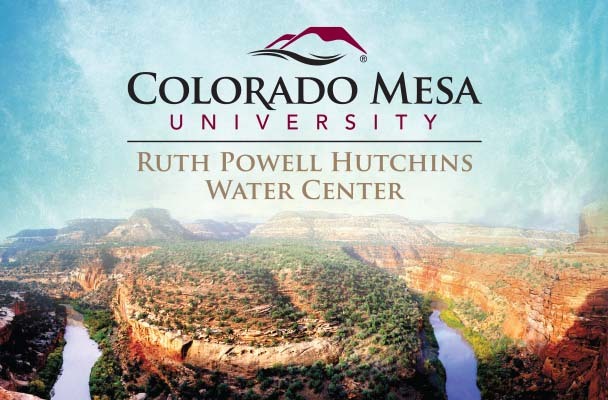 Grand Junction – The Ruth Powell Hutchins Water Center at Colorado Mesa University invites the public to its annual water courses, which are February 11, 18 and 25 from 6pm to 9pm in the CMU Meyer Ballroom. On Monday, February 11, Colorado Water Conservation Board Director Becky Mitchell will provide an overview of water supply and use in Colorado, and Grand Junction attorney Rob Pierce will explain basic elements of Colorado water law. On Monday, February 18, speakers will discuss the impacts of drought and longer-term drying trends on fish, fire behavior, municipal water supplies and agriculture. Speakers will include Lori Martin and David Graf of Colorado Parks and Wildlife, Doug Paul of the Bureau of Land Management, Randi Kim of the City of Grand Junction, and Paul Kehmeier, who farms near Eckert. On Monday, February 25, participants will get an update on the progress of drought contingency planning for the Colorado River Basin, including the state’s approach to developing a policy on “demand management” to cut water use if Lake Powell approaches critically low levels. The session will begin with a presentation by John Carron of Hydros Consulting on the risks being addressed by drought planning, and Assistant Colorado Attorney General Karen Kwon will provide an overview of the basin-wide plan. Dave Kanzer of the Colorado River District will describe efforts to boost water supplies through cloud seeding and tamarisk removal. Brent Newman of the Colorado Water Conservation Board will outline the state’s approach to developing a demand management policy, and Mark Harris of the Grand Valley Water Users Association will discuss the potential risks, benefits and opportunities such a policy may hold for the Grand Valley. The series will feature presentations on Colorado water supply, use, law as well as impacts of drought and drought planning. Full program details and how to register are available at www.coloradomesa.edu/water-center . The cost to attend is $45 for the whole series or $20 per session. Participation is free for K-12 teachers as well as CMU students, faculty and staff. Scholarships for other participants are also available. A light dinner will be provided at each session. Sponsorship for this program is being provided by Ute Water, Chevron, the City of Grand Junction, and the Grand Valley Water Users Association.